7/16/2017, 9:30 am, clear, sunny day. 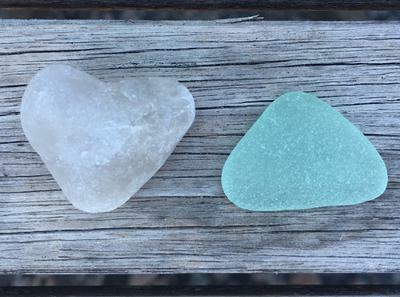 "I had the privilege of meeting and talking with Josie Iselin at the Santa Cruz Sea Glass Festival recently. Josie is the author of several excellent beach-finds-art-photography books. "Heart Stones definitely merits a place on your coffee table."